THIS PROPERTY IS CURRENTLY ZONED INDUSTRIAL BY THE CITY OF KANNAPOLIS...PLEASE CONTACT KANNAPOLIS PLANNING AND ZONING TO DETERMINE POSSIBLES USES.Building one has an office a storage bay and 2 drive in bays. Building 2 has 3 drive in bays and an end unit 1 BR. 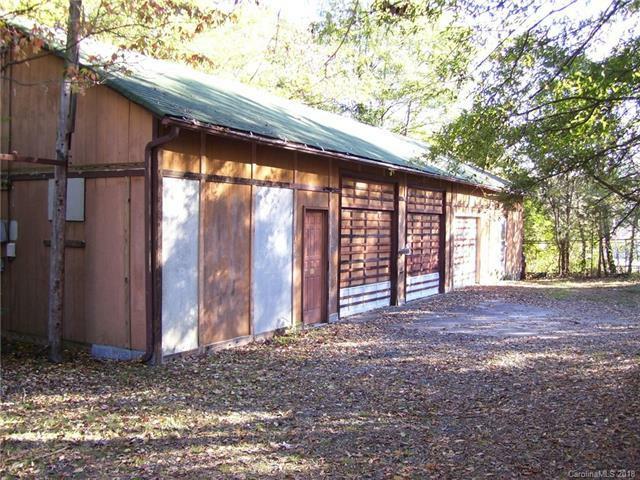 1 Ba apartment.Property also includes several open air storage sheds.